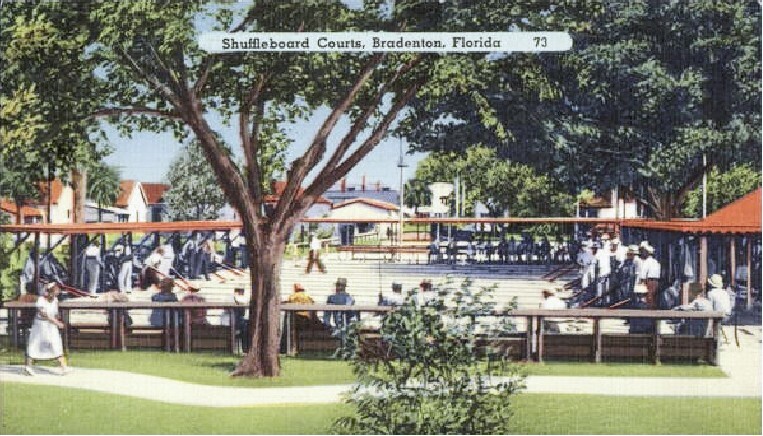 ON BEHALF OF THE BRADENTON SHUFFLEBOARD CLUB, I WOULD LIKE TO THANK THOSE MEMBERS WHO ATTENDED OUR ‘ANNUAL MEETING’ FOR THE ELECTION OF OFFICERS AND DETERMINE NEXT SEASONS (MONDAY/TUESDAY) CLUB TOURNAMENTS. ELECTED BOARD MEMBERS WERE: RON NURNBERGER, ED LEONARD, PAUL KNEPPER, MARGARET HARTZLER, JOYCE MARQUIS, MIKE MARQUIS, JEAN WILSON JR., JOHN ROBERSON, DAN LAKE AND DONNA SCHULTZ. NOTE: DAN LAKE AND DONNA SCHULTZ ARE NEW TO THE BOARD. DAN LAKE REPLACING THE VACATED SEAT OF (Jim Miller); WHILE DONNA SCHULTZ REPLACES LONG TIME SECRETARY PAT TOMKO. 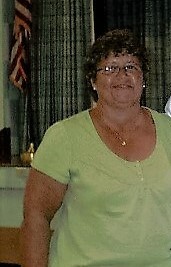 SINCERE THANKS GO TO PAT TOMKO FOR HER 9 YEARS OF SERVICE. SHE REPRESENTED ‘ A CORNERSTONE OF SERVICE’ THAT CANT BE EASILY BE REPLACED—-THX PAT!!! THE BRADENTON SHUFFLE CLUB WOULD LIKE TO THANK THE FOLLOWING WORKERS WHO HELPED STRIP, WASH, CLEAR COAT (TWICE), WAX AND PREPARE OUR 37 COURTS IN THE PAST MONTH. AS SHUFFLERS KNOW, IT TAKES MANY ‘MAN’ HOURS TO KEEP FACILITIES IN TOP SHAPE. JERRY EVERETT, LARRY MARDIS, ARNIE CONGDON, JERRY STANNARD, LEVI MILLER, BOB COMFORD, JOHN MICKLE, TOM PUTNAM, BRAD THOMAS. BOARD MEMBERS; PAUL KNEPPER, ED LEONARD, JEAN WILSON JR., RON NURNBERGER, MIKE MARQUIS, AND JOHN ROBERSON. Subject: ON BEHALF OF THE BRADENTON SHUFFLE CLUB ‘BOARD MEMBERS’ AND ALL CLUB MEMBERS, WE WISH TO THANK JEAN WILSON JR.
Jo Miller Speaks: Thank you, thank you to all of the shuffleboard family. I and my family have really appreciated all the cards, texts, messages, flowers, visits, and especially the prayers. This support is what is getting me thru this time. Jim enjoyed shuffling so much. And as I looked back over this last year, he had a good year and you could see he was "into it"! Jim was a quiet man,(unless you wanted to talk shuffleboard!) and had the .most even temperament. I will never regret going with him to all of those tournaments. Thank you again for your prayers and for sharing your memories with me. I will cherish those forever. One of his favorite sayings was," Live today to the fullest and as if it might be your last day. It just might be. The main thing is be ready!" He did, and he was! He never held a grudge against anyone. It's hard sometimes to do that. He would say, maybe they just had a bad day. Smile at them, and say have a good day. It may mean more to them then you can even imagine! NOTE: At the SWCD meeting January 3, 2015 it was 'moved' and approved that starting immediately no two State Amateur players that elect to play in a District Amateur Tournament can play together as partners.